Fundamental changes in supply chains are revolutionising international trade. 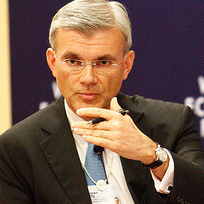 According to the World Trade Organization, there is a shift from the traditional model based on start-to-finish production in individual countries to a more dynamic and complex environment where production is fragmented across borders and in which services and logistics are much more important – all to serve global markets. North America, Europe and East Asia are the three main hubs supporting these supply chains, which are concentrated in the information and communications technology (ICT) and manufacturing sectors. Recentralisation and decentralisation of supply chains will become key issues. Decentralisation will likely prevail – for two reasons. First, there is potential for geographic expansion to Southeast and South Asia, especially as low-cost production migrates out of China’s coastal regions. With policy changes such as labour market deregulation, India could grab much of the labour-intensive part of manufacturing supply chains. And second, supply chain fragmentation will likely spread from ICT manufacturing to other parts of manufacturing, services and even parts of agriculture. Currently, there is a disconnect between supply chain realities and trade negotiations with respect to all sorts of non-tariff and regulatory barriers. The WTO and most free trade agreements have weak disciplines on regulatory barriers to trade and investment. There are three initiatives in the Asia-Pacific region – the Trans-Pacific Partnership, led by the US (with 10 other countries involved); the RCEP, led by China (consisting of ASEAN members and six other countries); and the ASEAN Economic Community. If all three were much more ambitious than other trade agreements, the potential to facilitate supply chains would be considerable, but the reality is different. RCEP and AEC in particular will likely be quite shallow agreements once implemented. The rapid growth of US shale oil and gas production has prompted a radically new era of energy abundance and will likely impact commodity prices in the short and long term. Over the next 20 years, more than 50% of all energy consumption will be in Asia, fuelling its industrial development and bringing electricity to rural areas. Asia’s reliance on fossil fuel imports will increase, especially from the Middle East. One consequence of this will be the need to build new infrastructure to match demand. Developing Asia needs USD$20-30 trillion of new energy infrastructure by 2030. By 2020 the US could overtake Saudi Arabia as the biggest producer of crude – it is already surpassing Russia in natural gas production, is close to energy self-sufficiency and could become a major exporter. The US is a key balancing power in Asia, but there are increasing tensions between a rising China and a relatively weaker US. The worst-case scenario is a US disengagement with Asia, leaving the field clear for more geopolitical competition among China, Japan and India. But the US’s prospects as Asia’s vital balancing power would be much better were it to export oil and gas to the region. Urbanisation is one of the world’s key megatrends, and it is happening above all in Asia. The McKinsey list of top 600 cities notes that by 2025, China will have 250 top cities and India 60, with seven megacities (with a population of over 10 million) in China. About one billion new emerging middle class consumers will be added by 2025, concentrated in mid-tier cities (with populations of between 250,000 and 10 million) in emerging markets. We should look to cities more than countries for policy innovation. The most effective mayors act as CEOs, establishing the best policies for doing business, to attract trade, foreign investment and foreign talent, and to roll out hard and soft infrastructure. Currently, Hong Kong, Singapore, New York and Dubai are the only truly global cities, but other cities can be categorised in terms of what they do best and be plugged into global supply chains in other ways. Should banking firms consider the top-tier, obvious cities or invest in the next tier? Urbanisation will mean USD30-50 trillion of infrastructure investment that will lead to massive opportunities. Will there be an international banking model or will it be restricted to the top few banks by country? An international trade finance model that hooks into trade flows and that leverages connectivity is becoming a reality. This could signal a move away from domestic banking. What will be the impact of energy flows? The new energy patterns will have a major impact on currencies and the balance of power in Asia (for example, Japan will be able to access gas for USD4), and there will be more money available to buy assets in the region. The original article was written by Ernst & Young Global Limited, and was subsequently edited by Dr. Razeen Sally. For more information, or to book Razeen Sally as a keynote speaker for your conference or event, please contact Raleigh Addington at raleigh@chartwellspeakers.com or call +852 5512 9714. Writing for Project Syndicate, Joseph Stiglitz, widely regarded as one of the world’s finest economic thinkers, examines the lessons learned so far from the current Ebola crisis. Joseph comments that globalisation does not only allow for good things to cross borders more easily; malign influences like environmental problems and disease can also ravage with less resistance. He goes onto outline how the crisis also reminds us of the importance of government and civil society. Rather than turning to the private sector to control the spread of a disease like Ebola, who have little incentive to devote resources to diseases that afflict the poor or poor countries, we turn to institutions. Joseph notes that whilst governments may not be perfect in addressing such crises, their efficiency could improve if adequate funding was provided to the relevant agencies. For more information, or to book Joseph Stiglitz as a keynote speaker for your conference or event, please contact Leo von Bülow-Quirk at leo@chartwellspeakers.com or call 0044 (0) 20 7792 8000. 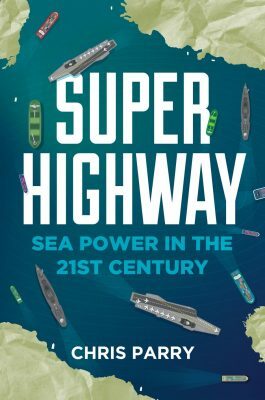 Chris Parry, a widely-known global security speaker, maritime strategist and former Rear Admiral, has released his new book, titled “Super Highway: Sea Power In The 21st Century” (Elliot & Thompson, 2014). Here, Chris argues that in the second decade of the 21st century, the sea is set to reclaim its status as the world’s pre-eminent strategic medium. Almost everything that travels virtually between continents and states on the internet moves, in reality, as in previous eras of globalisation, across, under or over the sea. Chris makes the case that the next decade will witness a “scramble” for the sea, involving competition for oceanic resources and the attempted political and economic colonisation of large tracts of what have, until now, been considered international waters and shipping routes. With space travel no longer on the agenda, the sea (the physical equivalent of the world-wide web) is effectively the world’s final undiscovered frontier and the potential arena for a classic ‘Great Game’between the major powers and developing states. To find out more about Chris Parry, or to book him as a speaker, please contact Leo von Bülow-Quirk on 0044 (0) 20 7792 8000 or at leovbq@chartwellpartners.co.uk. • The Future of Globalization: Strategic Trends, Economic Competition & Technological Innovation – Parag gives an insightful look at the foundations of the future world order including: the new geopolitical marketplace emerging with the rise of China, India, Brazil and Russia, the competitive geo-economic environment and how the rise of ‘geo-technology’ and ‘smart cities’ will re-shape the global balance of innovation. • Collective Leadership in a Turbulent Age – Using his multi-disciplinary training and scenario-planning expertise, Parag explains the chain reactions that produce unpredictable ‘black swan’ events and how to cope with vulnerability. He offers a new global agenda in which all organizations collaborate in dynamic public-private combinations to address the challenges of economic uncertainty, political instability, and socioeconomic stress. • Billions of People, Trillions of Dollars: How Asia Will Shape the Next Decade – Now on an economic zone at a par with North America and the European Union, Asia will, in the coming decade, be the source of over $2 trillion foreign investment into other regions. Parag explains where the Asian capital is flowing and how it will shape the global economy and transform strategic relationships. • The Global War for Talent – With over 250 million expatriates worldwide there is a new class of global citizen emerging. Attracting the best and brightest to a country, city or company requires understanding the dynamics of global labour mobility and developing a plan to gain an edge in the ‘war for talent’. Parag provides insights and case studies to help companies strategize a move up the value chain. For more information on Parag Khanna’s speaking topics and availability please contact our London office on +44(0)20 7792 8000. I’m just off the phone with Nick Burns, the former Under-Secretary of State and now Professor of the Practice of Diplomacy and International Politics at Harvard University. During his 27 year career in the State Department Nick played a key leadership role in US foreign policy towards the Middle East, Europe, and South Asia, and served as US Ambassador to Greece (1997-2001) and NATO (2001-05). He is viewed as one of the US’s most articulate spokespeople on globalisation and US foreign policy. Nick is currently spending a lot of his time helping audiences understand the foreign policy priorities of Obama second term administration, and look ahead to the challenges likely to shape global politics in the months ahead: tension between China and Japan; Iran’s nuclear ambitions and US-UK engagement in Afghanistan. For more information, or to book Nicholas Burns as a keynote speaker for your conference or event, please contact Leo von Bülow-Quirk at leo@chartwellspeakers.com or call 0044 (0) 20 7792 8000.